Claim your bonus in the app! Tropicana online casino has become one of the most popular in New Jersey. Read this review to find out all the great online casino games, poker options, and table games you can play at Tropicana. Sign up today with a great welcome bonus, and play all your favorites! 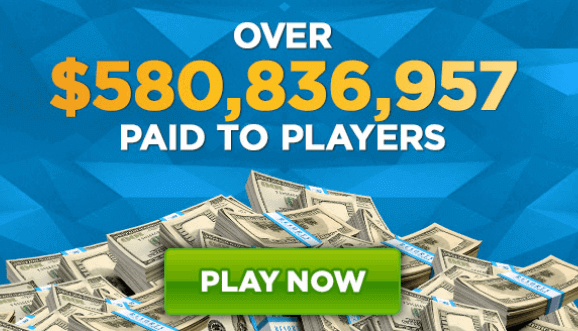 What’s so special about Tropicana online casino? Well, a Tropicana online casino bonus code could help you qualify for the new customer offer along with an array of other promotions. Read on to learn more about why Tropicana is causing a stir in the Garden State. We’re going to examine in detail what Tropicana online casino can offer later, but first, check out the table below for a general overview. If you’re looking to sign up here, there are two separate welcome bonuses you could claim. We’ll examine the $100 Real Cash Back offer available at Tropicana online casino first. How does this offer differ from other welcome bonuses? Most other online bookmakers offer bonus funds, meaning any money you get back has to be spent on the site. With the Tropicana offer, you can receive funds back as withdrawable cash. To qualify, your first deposit must be a minimum of $10. You will then need to place at least $10 as your first bet. The sum you’re awarded depends on the amount of your deposit and your net losses. This Tropicana online casino offer will give you 90% of your net losses back. Other terms and conditions apply, including the possibility of using a Tropicana online casino bonus code. Make sure you fully understand the small print before you sign up. If you have a Tropicana online casino bonus code, you can get from $10 to $100 just for creating an account. Enter the promo code on your sign up form. We’ll examine Bonus Replay first. This offer has similarities to the Real Cash Back promotion. When this promotion is available, you can earn up to 15% back on your total net losses. Refer A Friend is an option if you have friends who are looking to sign up here too. You can earn $50 in bonus funds when your friend signs up and enters your username in the Referred By A Friend box on their registration form. They will also need to deposit and spend a minimum of $10 for you to receive your bonus funds. The Community Jackpot is an exciting possibility for all Tropicana customers. If you hit the big money, fantastic, but if another player wins the jackpot on a game that you have played in the last hour, you win a percentage of the prize too. Now onto Trop Comp Dollars. You can accumulate Trop Comp Dollars every time you place a bet. When you have earned enough points, you can swap these and spend them on selected items at their Atlantic City land-based casino. Trop Points are more suitable if you want to bet solely online. Earn Trop Points and you can exchange these for bonus money. One Trop Point is worth $0.01. Your Trop Point account will revert to zero if you don’t earn at least one point every 90 days. Finally, there are many chances to earn bonus funds by playing selected free games. The games offered for this can change, but the terms and conditions are generally similar. Play the offered game at least once a day for a period of one month. Each time you play, you’ll earn a Shell. On the final day of the month, you’ll have the opportunity to open all Shells you’ve earned to unlock your bonus. Terms apply when creating an account with Trop Casino online. Players need to be 21 years old or older to sign up successfully. You also need to physically be within the borders of New Jersey every time you play. Online gambling legislation is in the process of being authorized in a number of other States too. Residents elsewhere in the US should be able to join up with Tropicana online in the near future. The registration process will only take a few minutes to complete. Make sure that all the information you enter on your sign up form is accurate and valid. Tropicana online can request additional identification documents at any time. The registration form will ask you to input your full name, full address, email address and date of birth. You will also need to give the last four digits of your Social Security Number. If one is requested, you also have the option to enter a Tropicana online bonus code. It’s important that you read and understand all the t’s and c’s attached. You can access them from the signup form. Once you’re done, press Join Now. Once you’re signed up you can begin to place wagers on any of the fantastic range of games available. Let’s take a look at what games you can enjoy at Tropicana. Players have almost 200 slots to choose from on the Tropicana website. Many of these options are exclusive to Tropicana, with Queen of Winter Winds, Tiki Totems, Agatha Christie’s Mystery Wilds and Secrets of the Phoenix among those names. Many of the regular Tropicana promotions are offered on slots. Daily games tend to focus on slots options, too. There are also demo slot versions available to the players. Click on the slot of your choice and choose Demo to play. Your Poker options at Tropicana online casino currently only consist of Video Poker games. The list includes Bonus Poker, Let It Ride, Triple Play Poker, Three Card Poker, Jacks or Better and Pai Gow Poker. There aren’t any Live Poker options for you yet. When this changes, we’ll let you know. There are plenty of online versions of traditional casino games for you to play at Tropicana online casino. 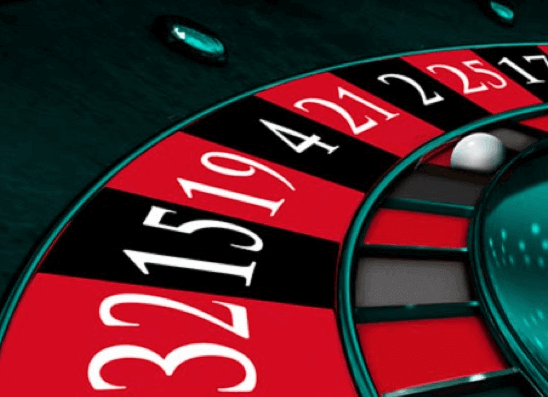 Choose from a range of Roulette, Blackjack, Craps, and Baccarat options. Blackjack and Roulette games are particularly varied. There are high stakes versions of many of these games. Terms and conditions of playing any of these casino games vary. 90 Ball Bingo is an interesting gaming option. Games cost $1, $2 and $5, but every half an hour a free game is offered. Each game, including free games, offer a Super Jackpot. Fan of Keno? There are two Keno options available here, Keno and Fortune Teller Keno. You can bet anywhere in New Jersey with the Tropicana online casino app. The app is available on most Android and iOS operating systems. There are no mobile-specific promotions as yet. All promotions available on the desktop version are available through the app. This includes the new customer offer we discussed earlier. As we said earlier, you can download the Tropicana mobile app on most iOS and Android devices. Unfortunately, you are unable to download the app on Netbooks and Chromebooks. You can start the download process straight from the Tropicana website. Use your mobile browser to access the site, go to the Mobile tab and click on either the Apple or Android icon. Alternatively, if you have an iOS device, you can download directly from iTunes. The downside to using the app is that many of the games will require a separate download. The list of games automatically available through the app should improve though. You will be able to access all parts of your account through the mobile app. If the app doesn’t appeal, you can still play via mobile using your browser. The Tropicana website can be used on iOS 6 and above, and Android devices 2.3 and above. It’s advised, though, that you upgrade your operating system to the latest software. You have plenty of deposit and withdrawal options to fund your Tropicana account. See the list below for all available payment methods. Minimum and maximum limits apply to different deposit and withdrawal options. All of the deposit methods should be processed instantly. Withdrawals can take up to five days to process, depending on the method you use. If you run into any problems with your gambling account, you can contact the customer service team at any time of day. Your 24/7 customer service options consist of telephone, live chat and email. Check out the comprehensive Frequently Asked Questions section first. If you want to speak to somebody over the phone, there is a toll-free number available. Call 844-737-7615 and choose from the options given. You can contact the customer service team via email. To do this, use the online form under the Email tab. Your contact form will be displayed. Fill in the personal details the form asks for, including your full name and email address. Enter your message in the box provided and click send. If you need to send off documents to verify your identity, you can upload them here. There is certainly an impressive range of games and slots available at Tropicana. There are very few online gambling sites which can offer a greater variety of slots in particular, and we’re impressed with the array of Blackjack and Roulette options too. If you want to bet via your mobile, you can do this by using your mobile browser or downloading the dedicated app. Unfortunately, you’re unable to access all games via the app, with a separate download needed to access some other gaming options. The up to $100 Real Cash Back offer is pretty tasty, but we’re disappointed with how complicated the terms can be. The awarding of funds of withdrawable cash, rather than bonus funds to be spent only on site, is appealing though. You have a good range of deposit and withdrawal methods to choose from. Some extra eWallet options would impress, but generally, there should be an option that suits you. 24 hours a day customer service is always a plus point. We’re happy with the Frequently Asked Questions section too. The Community Jackpot is a great addition to the Promotions tab. Some other promotions, particularly focused on casino games, would be welcome. Overall, we’re pretty impressed with what’s available with the Tropicana online casino. They’re certainly up there with the best in New Jersey, and if they can improve on the points we’ve discussed they could easily challenge to be top of the pile.